WTC04. Collection of the artist. Oh! The charm of a Tulip! It is easily understandable why the Dutch went berserk with Tulips - the Tulip Mania of the 1600s. 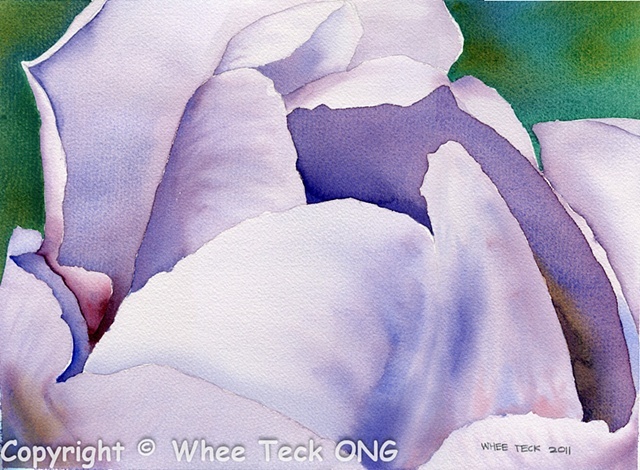 This painting picks the top of the tulip as focus point. The soft blending of colors in the petals speaks softly of the beauty of this tulip.